Do statins really prevent cancer? David, I think I have the smartest subscribers around. I’m glad you’re on top of things. Do you remember when Big Pharma pushed hormone replacement therapy on people? They promised everything from heart disease prevention to Alzheimer’s prevention. But then the failings began to mount. HRT didn’t prevent heart disease. It didn’t stop Alzheimer’s. But it did cause a lot of problematic side effects, including cancer. As you indicate, I’ve shown you how statins will likely be the next big drug scandal. They do little (if anything) to stop heart attacks, but they do cause congestive heart failure. Big Pharma probably saw the writing on the wall and wanted to find a different use for the drug. If it works as a cancer preventive, then the money will really flow into Big Pharma’s pockets. But news was released a few years ago — but it never received much attention — that statins are NOT a cancer preventer. In 2006, three investigators published a study of 8,943 articles on statins. Their work debunks the myth that statins prevent cancer. The author’s conclusion: “We found that no type of cancer was affected by statin use and no subtype of statin affected the risk of cancer.” That’s pretty conclusive! At least this time (unlike HRT), it didn’t take 30 years to debunk the myth perpetuated by Big Pharma. If your doctor pushes this class of chemical on you, please think twice. First, there’s no good evidence that statins reduce all cause morbidity/mortality. So they might lower the number of heart attacks, but deaths from heart failure and other conditions may go up. Second, the cholesterol myth is just that, a myth. It’s designed to scare you into using drugs. 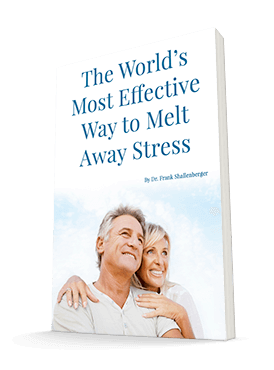 I admit that your best efforts at diet and lifestyle changes I’ve mentioned in these pages might not lower your cholesterol. In that case, please consider essential phospholipids, niacin, or red yeast rice extracts before resorting to Big Pharma’s chemical warehouse. I continue to see wonderful results with the policosanol formulation Advanced Cholesterol Formula. Most people will see positive results.